Turbonetics/Spearco Intercooler Castings UNIVERSAL - Pann Auto Performance - San Diego largest aftermarket automotive performance parts - What do you drive? Turbonetics/Spearco offer many aluminum bends and cast pieces to make your intercooler setup truly one-of-a-kind. 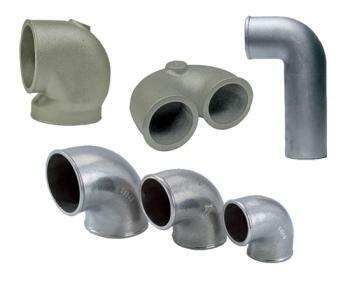 From elbows to U-bends to flanged and tapped bends – Turbonetics/Spearco has you covered.